The premiere of Star Wars Rebels is finally here! The new animated series begins with an hour long movie, "Spark of Rebellion," tonight on the Disney Channel and picks up again on October 13th. I caught a screening at San Diego Comic-Con and think the show has a lot of heart and a lot of potential. Oh! And I recorded a quick video when I received the first set. You can see it on Instagram. How can you win? Follow the Rafflecopter guide and enter by next Friday, October 10th, at 11:59pm PST. I'll contact the winner through Rafflecopter and notify the winner in the comments. If you don't want to use Rafflecopter, just leave a comment for a single entry. My favorite villain is Emperor Palpatine, he is the ultimate villain! 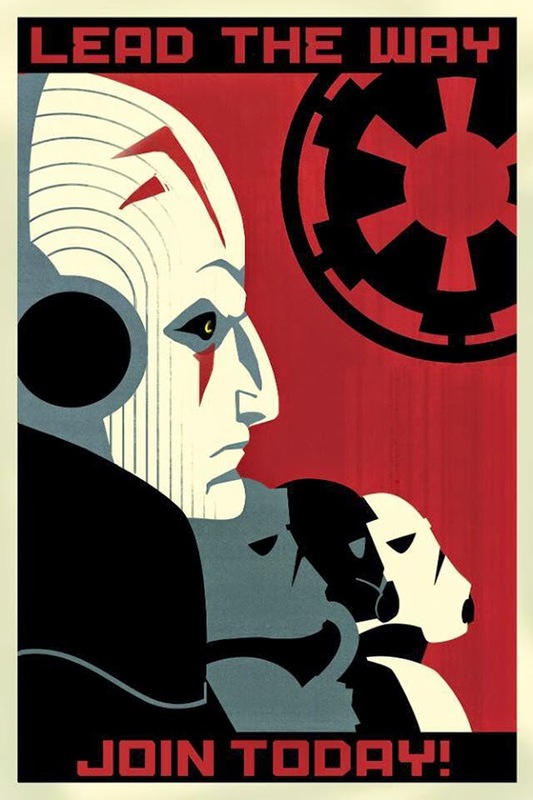 Actually love the rhyme in it "Lead the way...."
I've always liked Darth Maul. Loved his look! My favorite all time Star Wars Villain is of course, Darth VADER! My favorite villain is Ventress! She knows what she wants and isn't afraid to do whatever it takes to get it. I saw Star Wars in the theater in 1977. It blew my young mind and I have loved Darth Vader ever since! Best villain ever! Mara Jade.... befroe she became good. Admiral Thrawn! My grown up Star Wars Christmas wish is he'll be a surprise adaptation in the new new trilogy. My favorite villain is Grand Admiral Thrawn,though Darth Vader is a close second. I'd say my favorite villain would have to be Darth Nihilus! I LOVE Darth Maul and Boba Fett! Would have to be the big bad baddy himself, Darth Vader! I have to agree with the others, Darth Vader takes the cake. My favorite villain is Darth Sidious. Did I say Grand Moff Tarkin is classy? If so, please forgive my (possible) double post! Gotta agree with the pro-Vader comments. I thought Count Vidian from A New Dawn was really cool. Super original character. I kinda like Darth Maul. Darth Maul, all the way! I'll always be a fett fan. Thanks for entering everyone, the winner is travisthegrimm!